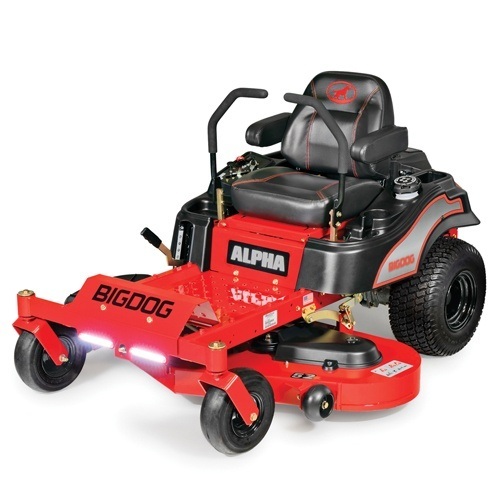 2016 Big Dog Mowers Alpha 52 in. 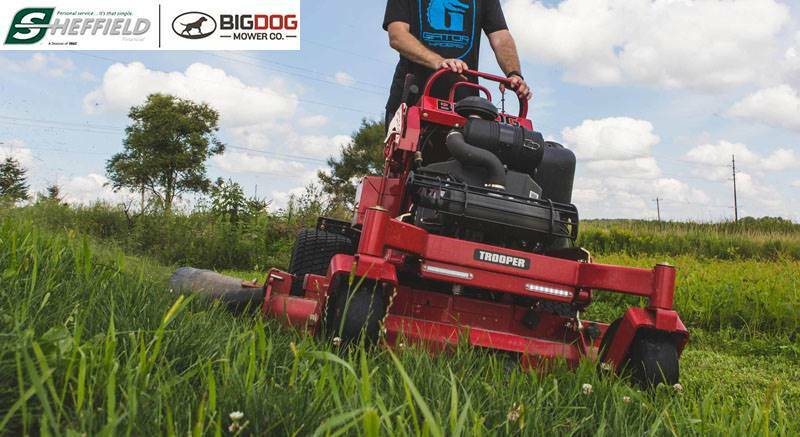 The Alpha leads its class with top-quality cutting, power and style. Standard 23 horsepower Kohler engine*. Welded steel deck. LED lights. Rugged engine guard. Super-comfortable embroidered seat. 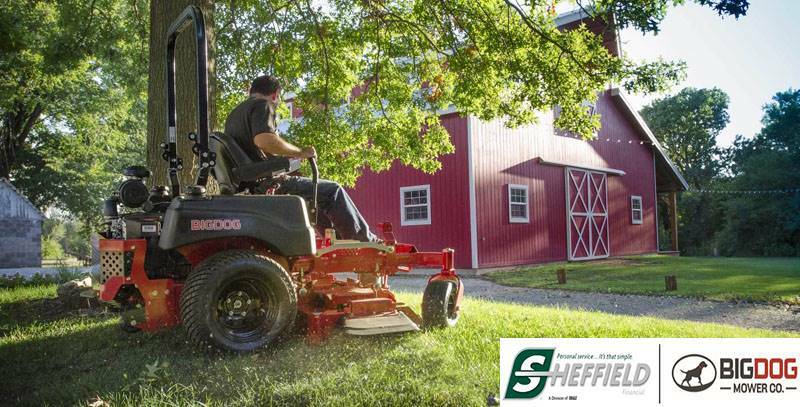 All this with an industry-leading 7-year limited warranty and a price that leads the competition. The Alpha is truly the first of its kind.